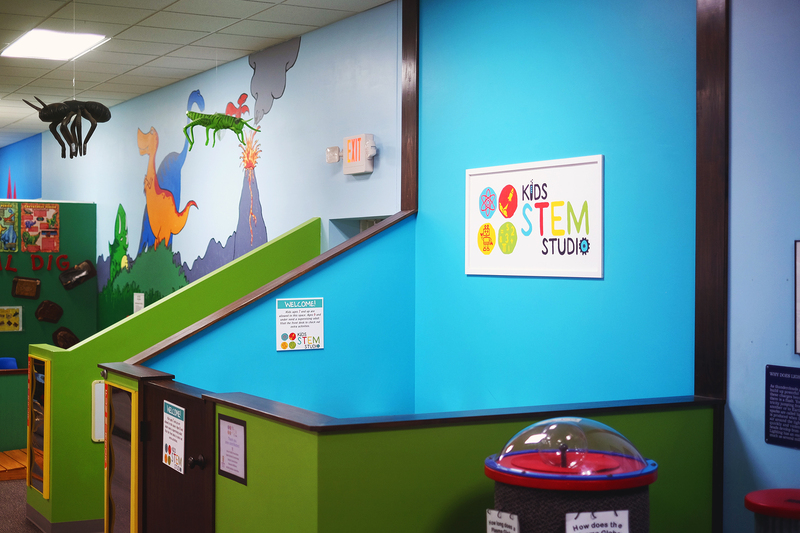 The Kids STEM Studio is incorporated into our science exhibit and is geared towards children seven years old and up. Science, technology, engineering, and math are all important areas that our next generation needs to excel in and this exhibit space will help children learn everything they need to know about STEM. There is a ‘check-out’ system in which the guardian will sign off on certain activities that the children can enjoy. Children six years old and younger will need an adult with them at all times in the area to help with the activities. Exhibit sponsorship provided by the Union Pacific Foundation. Exhibit renovations were completed by Uhrich Construction, Spelts Schultz Countertops, Sherwin-Williams, and KACM Board Members.